The tables have turned in this unconventionally funny holiday tale. Santa has a sneaking suspicion that Harold the kid isn’t real. He doesn’t believe that Harold is the one who writes him a letter every year, or that he puts out a plate of milk and cookies for him on Christmas Eve. Meanwhile, down south, Harold is grappling with a similar quandary. Anxious to put their uncertainties to rest, both Santa and Harold devise plans to discover if the other does indeed exist…and the results are a riot. Don’t miss this one! 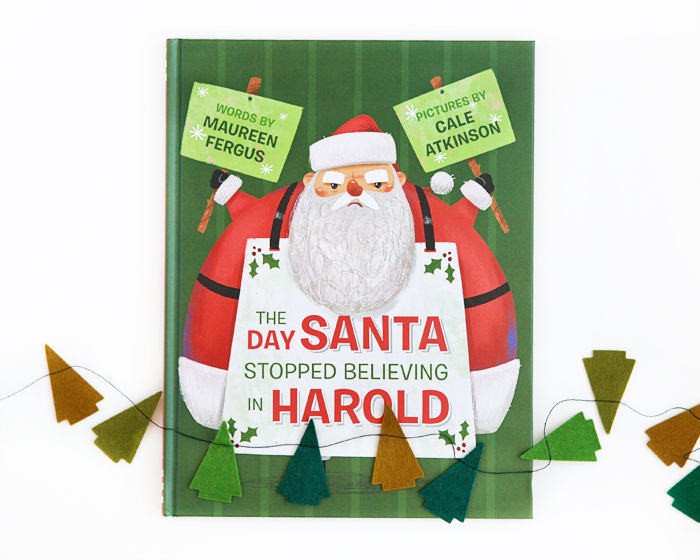 The Day Santa Stopped Believing in Harold was written by Maureen Fergus, illustrated by Cale Atkinson and published by Tundra Books.